The troubling history of a scandal-hit chain of care homes where 12 people have died can be revealed today. Sussex Health Care is under police investigation over the deaths, which include disabled men in their 20s. A major crime team is looking into incidents dating back two years at nine of the firm’s homes, in one of the biggest investigations Sussex Police has undertaken. Detectives arrested a woman on suspicion of neglect and fraud last Thursday before releasing her under investigation. West Sussex County Council has stopped sending residents to the company – and two weeks ago started withdrawing disabled young adults from one home over ‘clinical care and safety’ concerns. It has also offered to move anyone who wants to be placed elsewhere, even if they had privately funded their care. Inspection reports and coroners’ records reveal allegations of dangerous care, appalling treatment and abuse stretch back nearly a decade. Safeguarding concerns involve 43 residents, including patients not given enough to drink, problems with feeding tubes, poor hygiene and bad management of pressure sores. Understaffing at the homes, poor management of medicines, and the way residents are handled and moved are also under investigation. The Care Quality Commission (CQC) last night said it was concerned about ‘the ability’ of Sussex Health Care to provide reliable care, adding that the company allowed problems to escalate until they were pointed out by inspectors. Campaigners said the company’s past problems may not have been apparent to families after the firm re-registered with the CQC three years ago under a different name. MPs and campaigners have called for a full investigation. A carer was found at 1am engaging in sexual activity with a severely disabled woman. Sussex Health Care charges up to £100,000 a year for a place in its homes, which offer nursing care for elderly people, young adults with learning difficulties, and people with severe neurological disabilities. The firm is owned by joint chairmen Shiraz Boghani and Shafik Sachedina. Andrea Sutcliffe, the CQC’s chief inspector of adult social care, said the company was the subject of ‘continuous review’, adding: ‘On numerous occasions we identified breaches of the regulations and have taken enforcement action including warning notices and requirement actions to drive improvement in these services. ‘Overall we are concerned about the ability of Sussex Health Care to provide a reliable quality of care for people. The care of many residents is funded by the council, which is understood to have paid the firm millions of pounds over its 30-year history. But questions have also been raised about the close links between the local authority and the firm, after it emerged Peter Catchpole, who serves as policy adviser on the Sussex Health Care board, was also cabinet member for adult social care at West Sussex County Council. 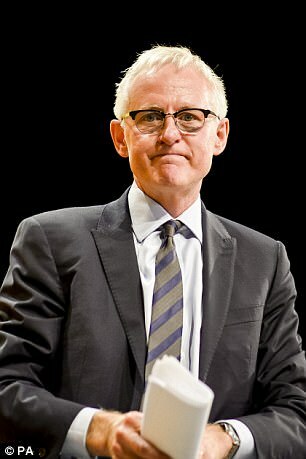 Lib Dem former care minister Norman Lamb said: ‘This is a deeply disturbing catalogue of failures, and I will be writing to the Health Secretary urging him to investigate why a number of warnings appear not to have been acted on. Five years ago the CQC, the police, and social services were all warned by a coroner of a case of ‘gross failure of basic nursing’ at one home, after staff failed to notice brain-damaged Christopher Allen had developed pneumonia before he died in 2008. Mid Sussex MP Sir Nicholas Soames said: ‘It certainly looks to me as though the warning signals to the council were not acted on as quickly as they should have been. Huntington’s disease sufferer Christine Sonko died unexpectedly in the spring from a bleed on the brain. The mother-of-four’s husband Ebrima, said his wife, 54, had been assigned one-on-one nursing at Rapkyns Nursing Home near Horsham and had to wear a safety helmet. The supermarket attendant, 47, said: ‘I’ve had no real explanation as to what happened to my wife. 'It is very disappointing as you put your trust in the home to take care of her and I feel let down. 'I have faith in the coroner and the police to get to the bottom of what has happened in that home. Grandmother Valerie Tilley had two falls in three days before she died in November last year after suffering a fractured skull. 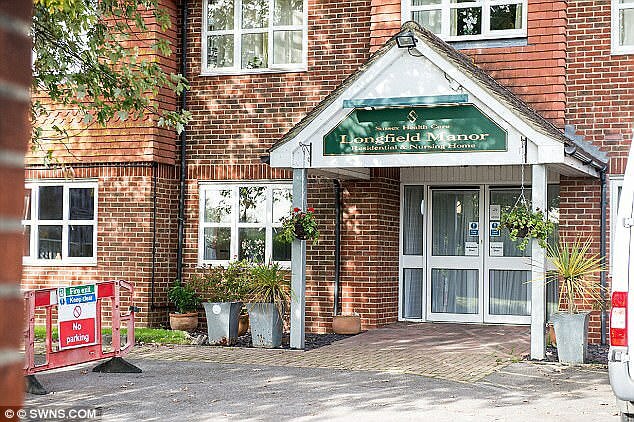 The retired insurance agent, 79, had dementia and had been at the Longfield Manor home in Billingshurst near Horsham for five months. Her son Adrian Tilley, 56, said he still did not know how she had fallen and died. The deaths of three severely disabled young men are part of the police investigation into Sussex Health Care. A 22-year-old is understood to have died at Rapkyns Care Centre near Horsham on a weekend stay arranged every three months to give his mother a break from caring for him full-time. A 21-year-old man – also on a respite care stay – died of pneumonia before Christmas last year. A 20-year-old man’s death late last year is also being looked at. Two severely disabled men suffered broken legs at one home within a few days. Matthew Bates, 33, had his right thigh bone broken two years ago at Beech Lodge, while Gary Lewis, 65, had his left leg broken. Both were taken to hospital within 24 hours in April 2015. The injuries are not part of the current investigation, and there is no evidence of wrongdoing. Mark Bates said his son – who has cerebral palsy – suffered in silence for 15 hours before paramedics were called. It is understood 17 police officers are working on the case. An officer told one family member it ‘could change the way a lot of agencies go about their business’. The nine homes, most of them in the Horsham and Crawley area, are Orchard Lodge, Longfield Manor, The Laurels, Kingsmead Lodge, Beech Lodge, Beechcroft Care Centre, Rapkyns Care Centre, Rapkyns Nursing Home and Woodhurst Lodge. The CQC has inspected the nine homes 55 times since 2010, but only reports published since November 2014 are on the company’s profile page on the CQC website, because Sussex Care Homes at that point re-registered under a new off-shore company. Eileen Chubb, founder of campaign group Compassion in Care, said: ‘Why is the system justifying and excusing poor care? A council spokesman said: ‘Where appropriate we are offering [council-funded] residents the opportunity to move if they wish to do so and we have advised other funding authorities of this approach. 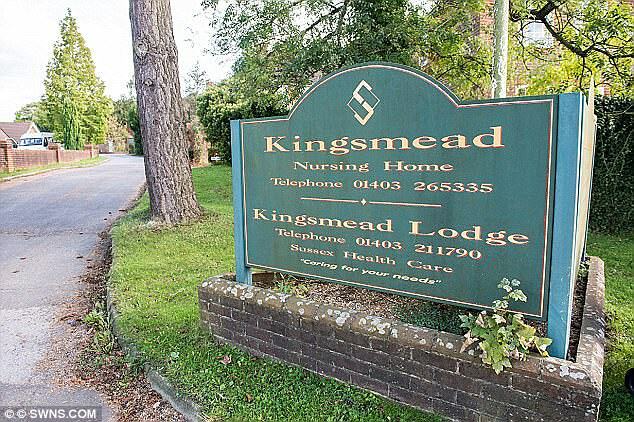 It is understood Sussex Health Care believe the council’s decision to withdraw residents from its Orchard Lodge site was unwarranted and ‘unlawful’. Sussex Health Care’s joint chairman is a 67-year-old millionaire hotelier who lives in a £5.8 million seven-bedroom mansion on the outskirts of London. One of his companies – the Splendid Hospitality Group – has 20 hotels, including the 292-bedroom Hilton London Bankside. Boghani was named Hotelier of the Year at the Asian Business Awards last year. 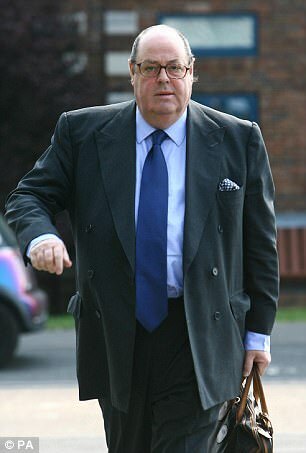 The joint SHC chairman – a dental surgeon and property developer – lives in a seven-bedroom house in Purley, south London. A decade ago the 67-year-old was prosecuted for allowing too much sewage waste from one of his care homes to flow into a bathing spot. He was fined £5,000 for allowing dangerous chemicals to spill into the stream near Uckfield. The SHC director of operations and services was crowned Employer of the Year at the regional awards last year. The 56-year-old – who is the registered accountable person at each of the care homes – was notified by a coroner in 2012 of the ‘gross failures’ linked to the death of Christopher Allen. She lives in a £850,000 four-bed detached home near Crawley. The local councillor was a paid adviser to SHC while he oversaw adult care services for West Sussex County Council, which is understood to have paid the firm millions of pounds for care services. The 70-year-old, who was the cabinet member for adult social care, stepped down from his council job this summer after the investigation into SHC was launched.